Loving the idea of this list! I will be trying it out soon. Can't wait to try out the tellyporta with some mega nobs. Formations that include at least one Ork unit don’t count Grot units that are lost in an assault when working out who has won the combat. 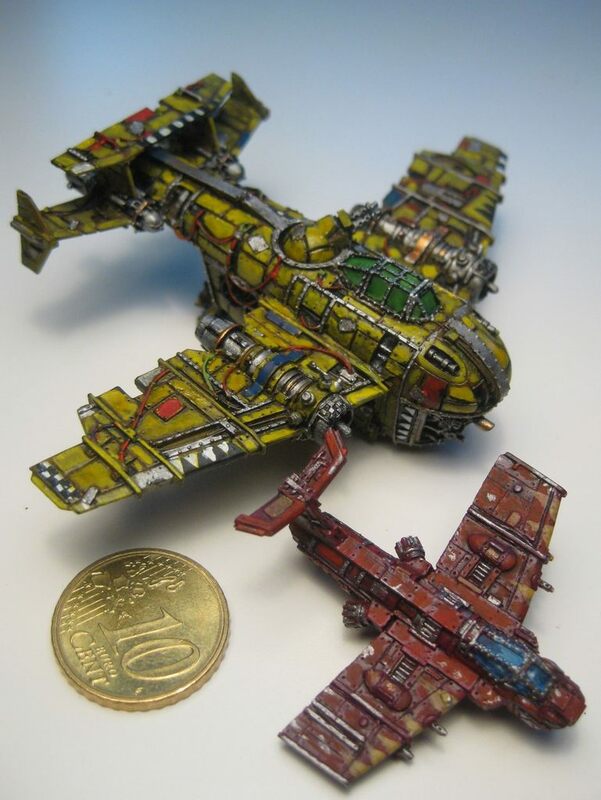 Finally question for the community at large, what do folks think about using some of the newer ork aircraft like dakkajets or wazbom blasta jets to replace the older 'fightas' and 'fighta-bommers'? I'm not keen! All such would abstract happily as Fighta-Bommerz on our scale. You could add Ork Bommerz to the list maybe though? They seem like they might fit the shooty richer/fancier tech theme and there's epic stats for them already in the Gargant Big Mob list you could copy. There were models made for Aeronautica that people might have and it would be nice to be able to use them. Oh very nice! This is an ork list I'd be happy to play. I often look to my orks and think that I'd like to bring them to the next tournament, but they always gets left out for the sake of some other army because I find them subpar. Think this list would suit me better. I'd be happy to help out some time in the future when I get more time. The tellyporta array rule only refers to units which means more than one formation my use it RAW. Is that intended? I like how you've split the stompa into stompa and mega-dread. [*]The tellyporta array rule only refers to units which means more than one formation my use it RAW. Is that intended?